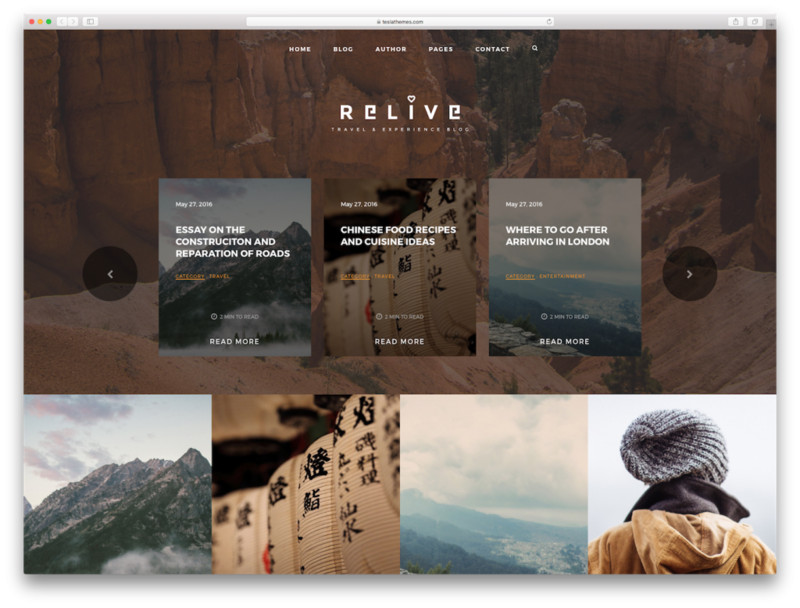 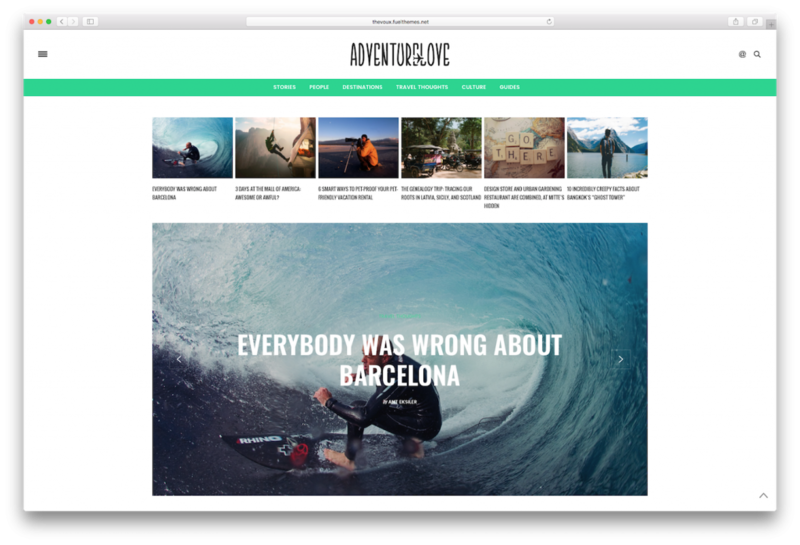 Stylish & Responsive: it’s important to have a catchy and organized layout for your blog so that the readers will have the best experience while reading about your adventures. 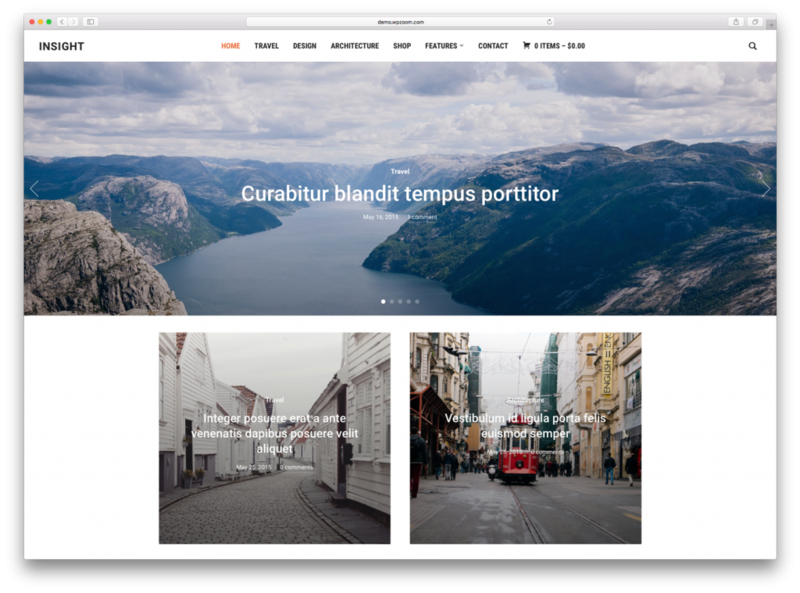 Also, nowadays it’s a must to have a responsive website as people have lots of devices and it’s better to consider that they often choose to read blogs on the go. 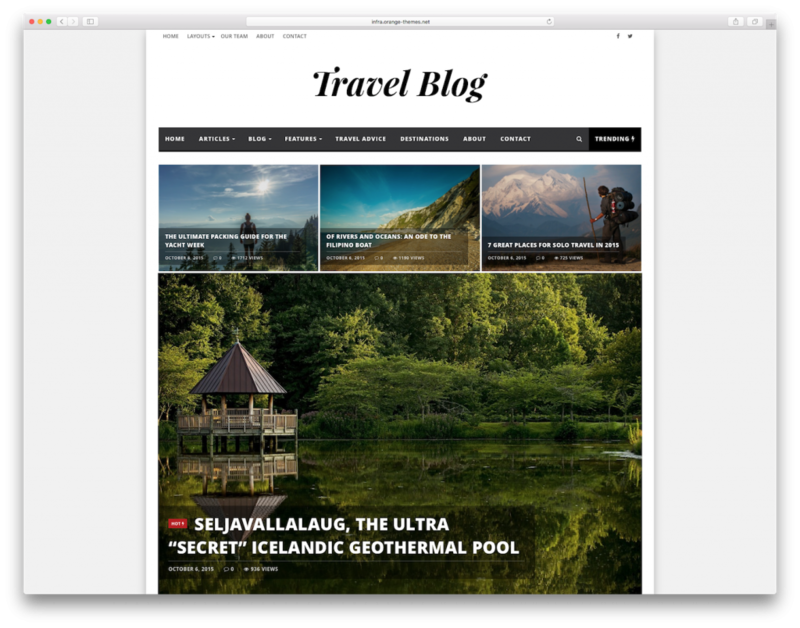 Content Types: for a travel blogger it’s a great advantage to have flexibility when it comes to types of content. 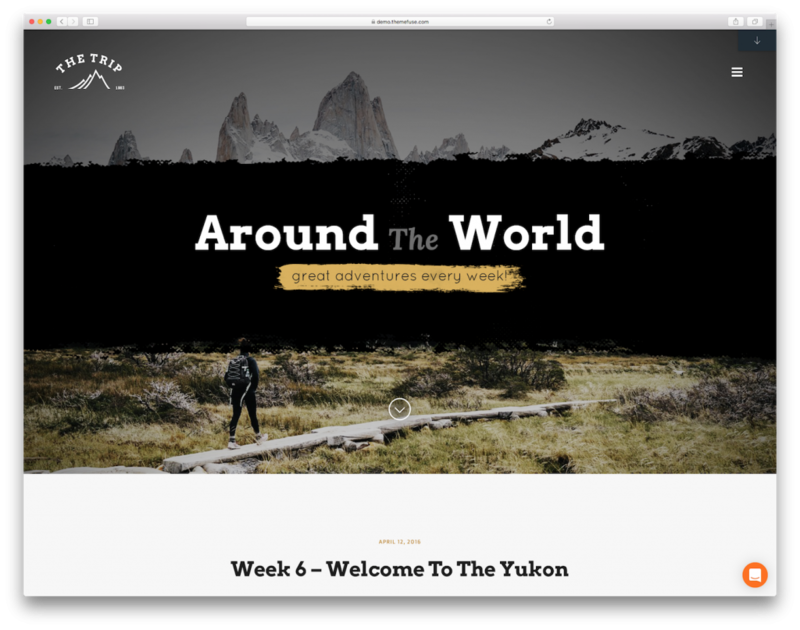 Very often traveling implies taking lots of pictures plus the textual and video content. 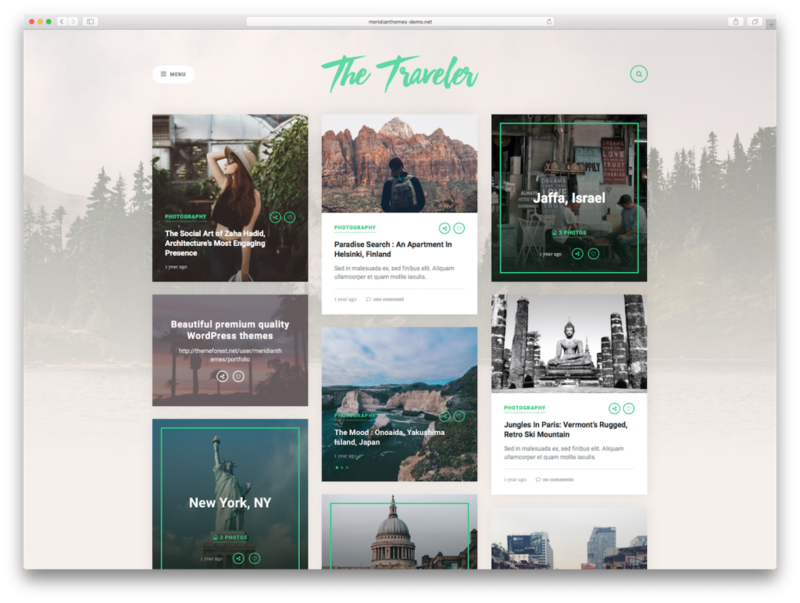 This is why it’s preferable that the theme can combine all of these with ease. 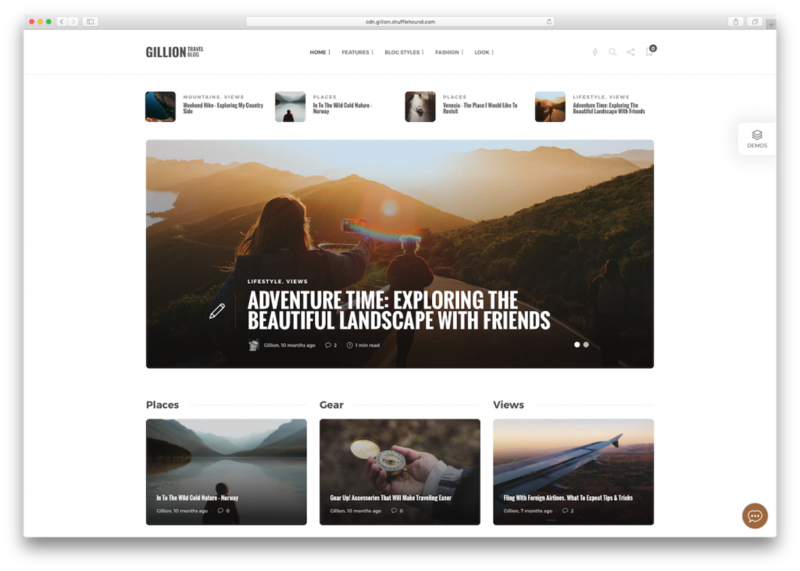 Highly Customizable: since traveling is linked to personal experiences, it’s very important to have as many options as possible for customizing your blog. 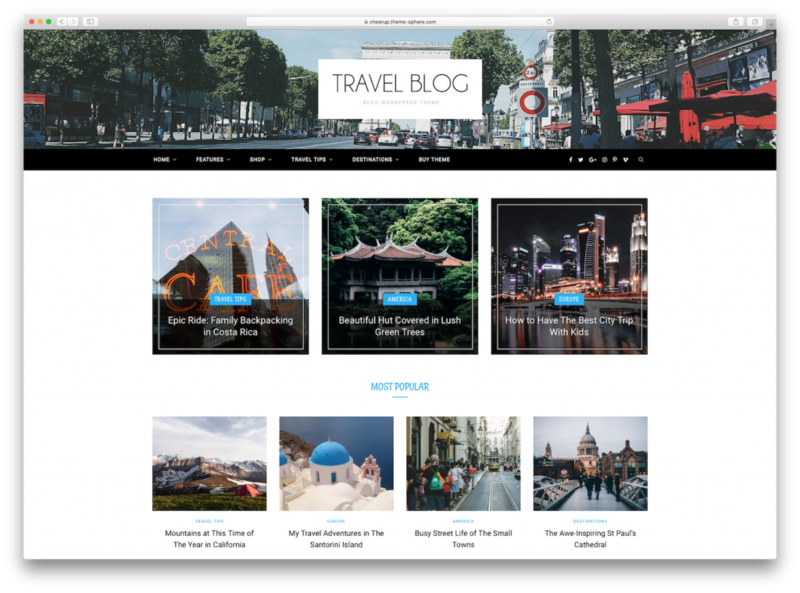 Social Media Integration: in the case of travel blogs it’s very useful to have social media sharing options for the posts in order to gain more readers or followers. 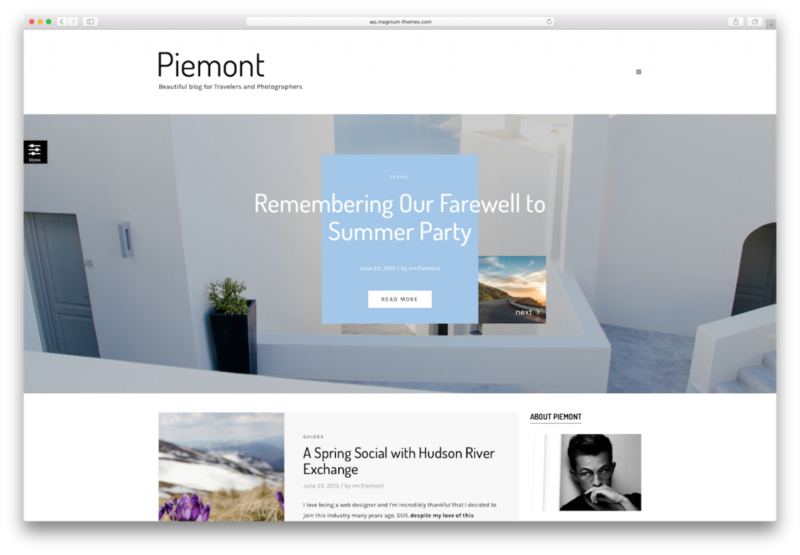 Social Media is a great way of gathering an online community around your blog. 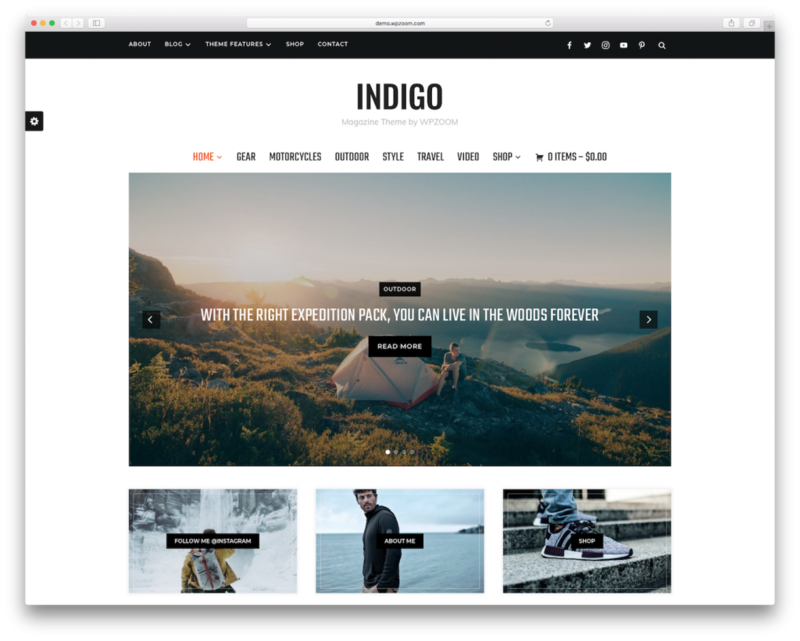 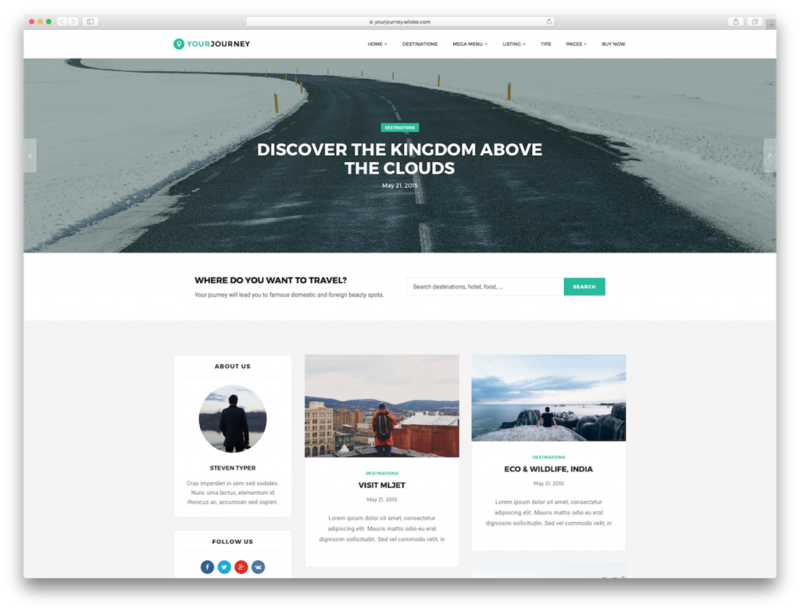 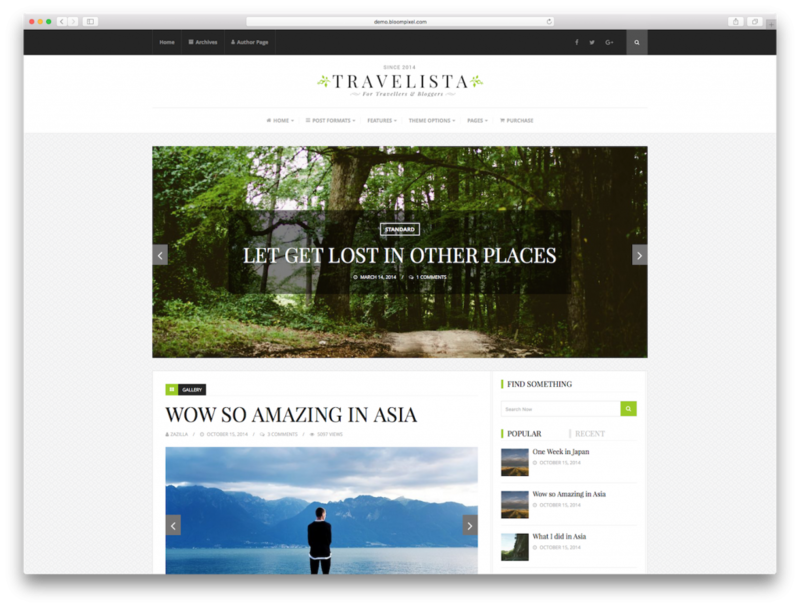 Since traveling implies lots of planning and you might not have enough time to research for the best theme for your blog, we did that for you. 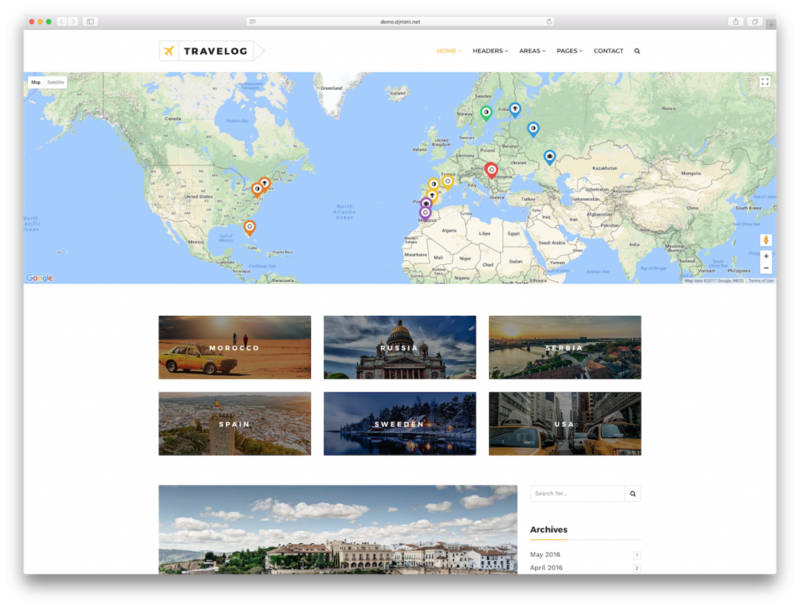 Scroll through the following examples to see which one suits you best, according to the content you plan on using on your travel blog.